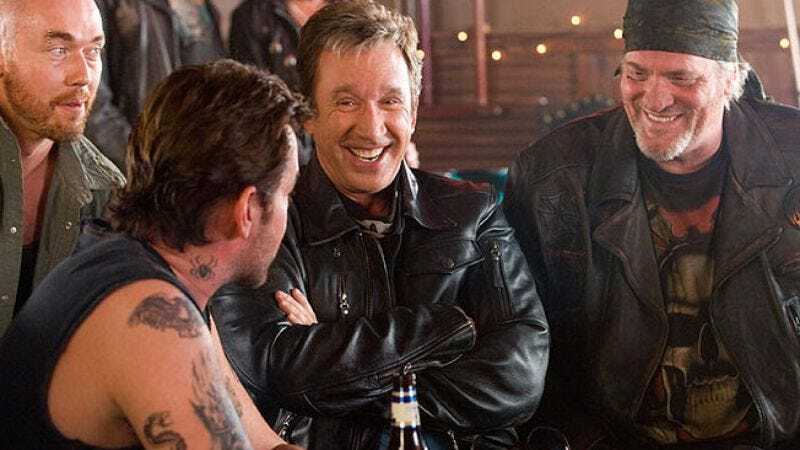 Tim Allen’s long-rumored return to series television is now official: ABC has just signed him to return to the network he helped make No. 1 with Home Improvement, hoping he can revive that winning streak by essentially doing the same thing all over again. As on Home Improvement, Allen will be playing a character named “Tim,” and will once more be “fighting for his manhood in a world that is being increasingly dominated by women,” what with everything being made out of hormones and tampons these days. Formerly titled Man Up, it’s now being called The Last Days Of Man, presumably to avoid any association with our current female overlords like Sarah Palin and Sharron Angle, and also hopefully because the series finale will see Tim Allen crushed to death beneath the stiletto heels of a new master race of buxom Amazons.